Inspired by the lichen covered boulders found in the midst of old woods. Decorated with charred wood, mosses and lichen collected from fallen branches, pressed and dried, over a black peat surface. 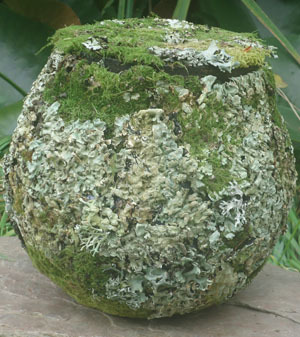 The moss and lichen will dry and become darker over time.